Within the permanent frame are 26 illustrations, and there are 26 pieces with 1 lower case letter of the alphabet on each. The pieces with a only fits below the apple and so on. 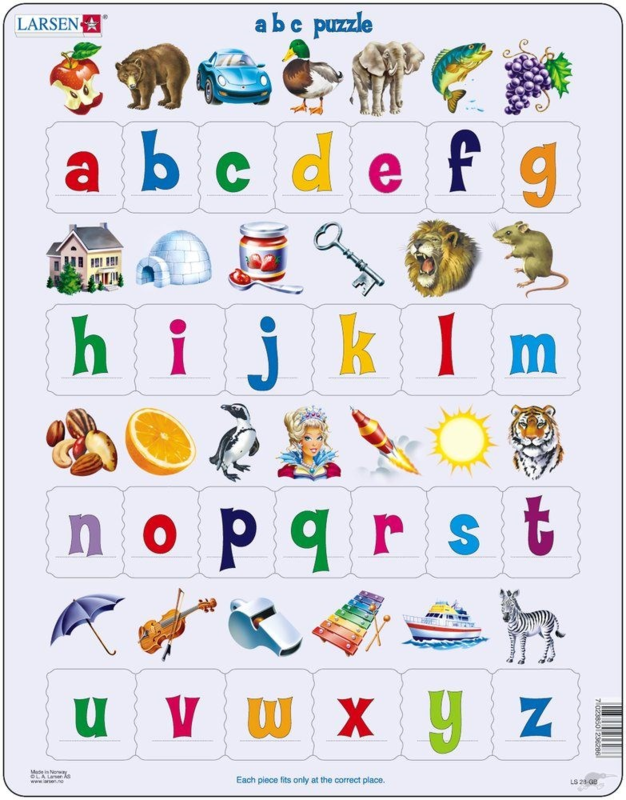 The letters of the alphabet and pictures represent common and clearly pronounced words.